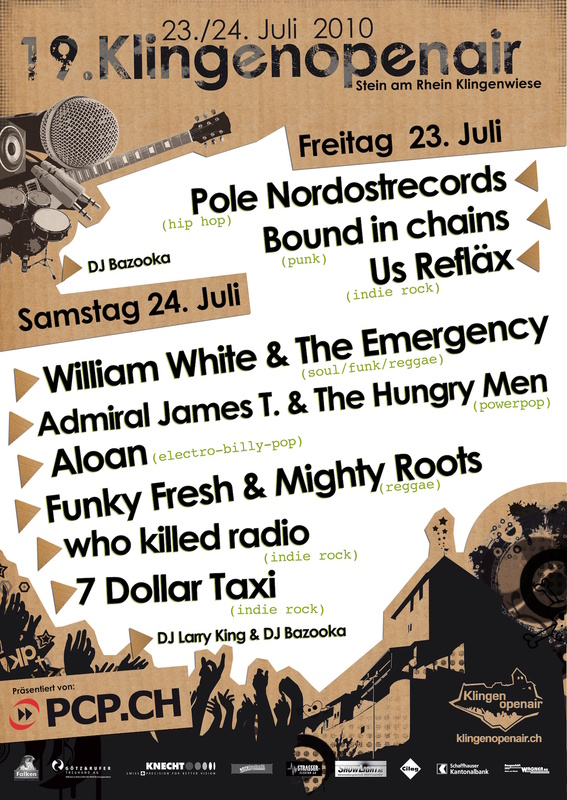 William White & The Emergency, Aloan, Admiral James T. & The Hungry Men, 7 Dollar Taxi, Funky Fresh & Mighty Roots, Pole, Who killed radio, Bound in Chains, Us Refläx. 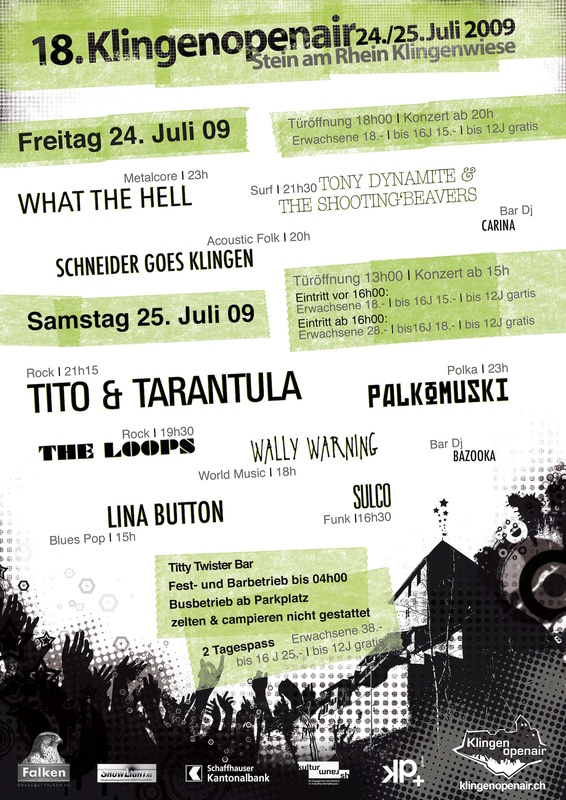 Tito & Tarantula, Wally Warning, The Loops, Palkomuski, What The Hell, Lina Button, Jabiru Crew, Tony Dynamite & the shootin beavers, Schneider goes Klingen. 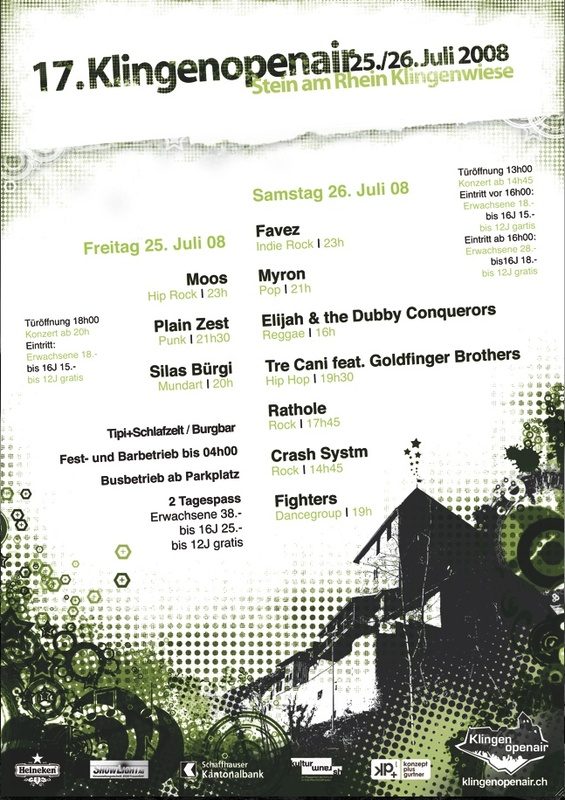 Favez, Myron, Elijah & the Dubby Conquerors, Tre Cani & Goldfinger Brothers,Rathole, Crash Systm, Silas Bürgi, Moos, Plain Zest, Fighters. 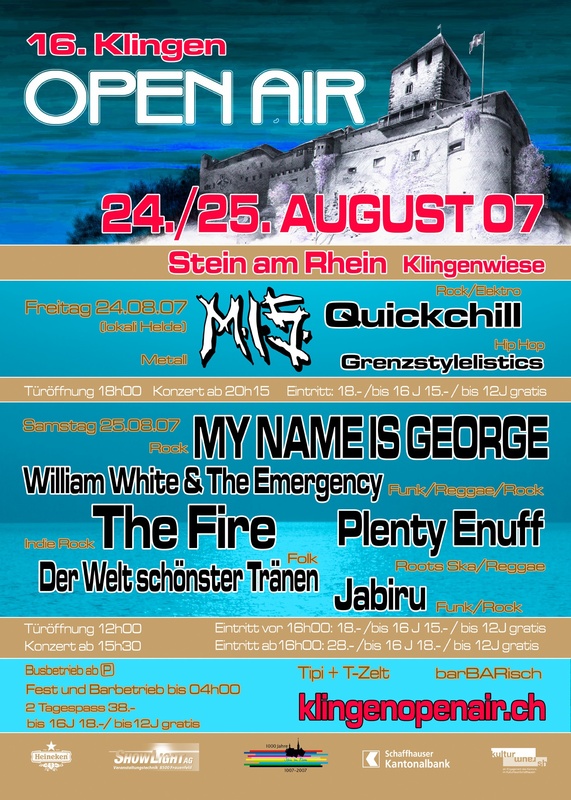 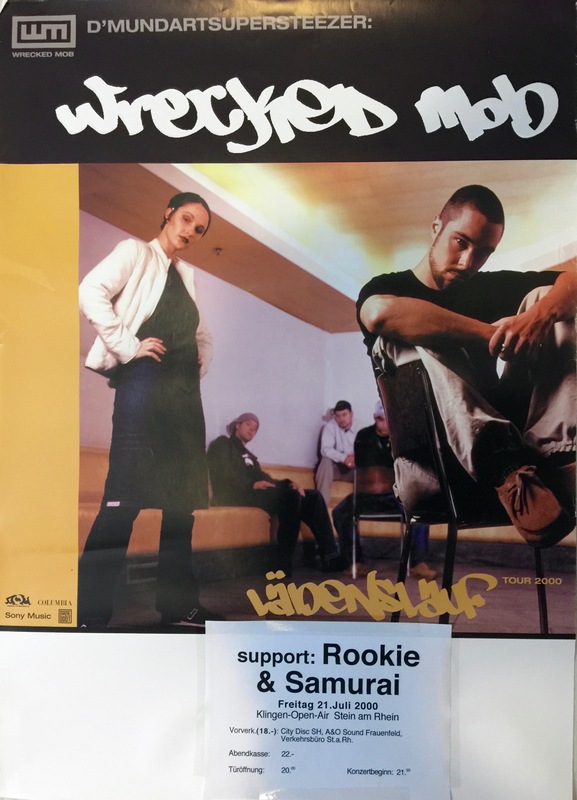 My Name is George, William White & the Emergency, M.I.S., The Fire, Plenty Enuff, Der Welt schönster Tränen, Jabiru Crew, Quickchill, Grenzstylelistics. 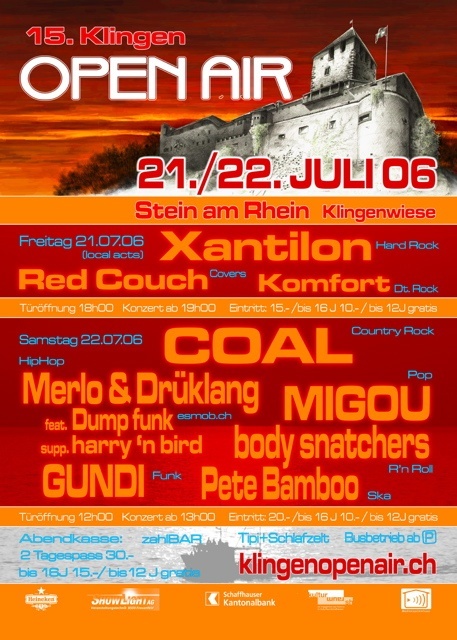 Coal, Merlo & Drüklang, Dump Funk, Harry n Bird, Migou, The Body Snatchers, Gundi, Pete Bamboo, Xantilon, Red Couch, Komfort. 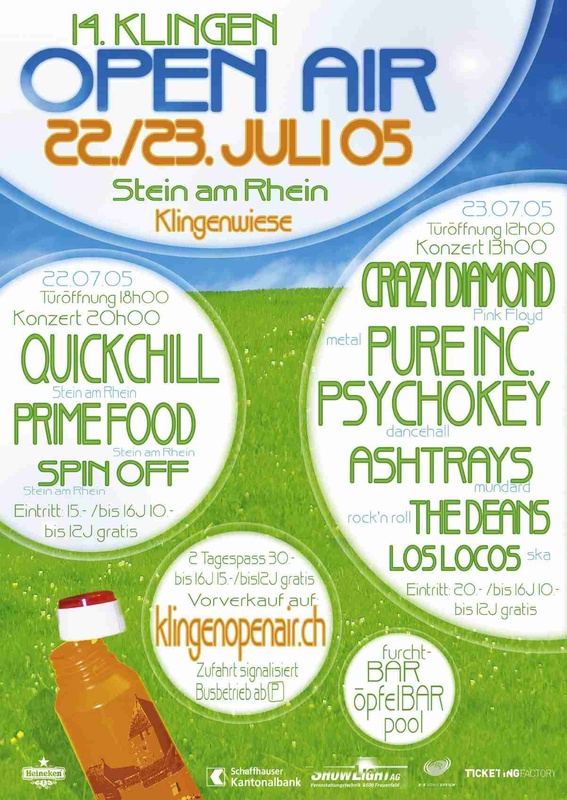 Crazy Diamond, Pure Inc., Psycho Key, The Ashtrays, The Deans, Los Locos, Quickchill, Prime Food, Spin Off. 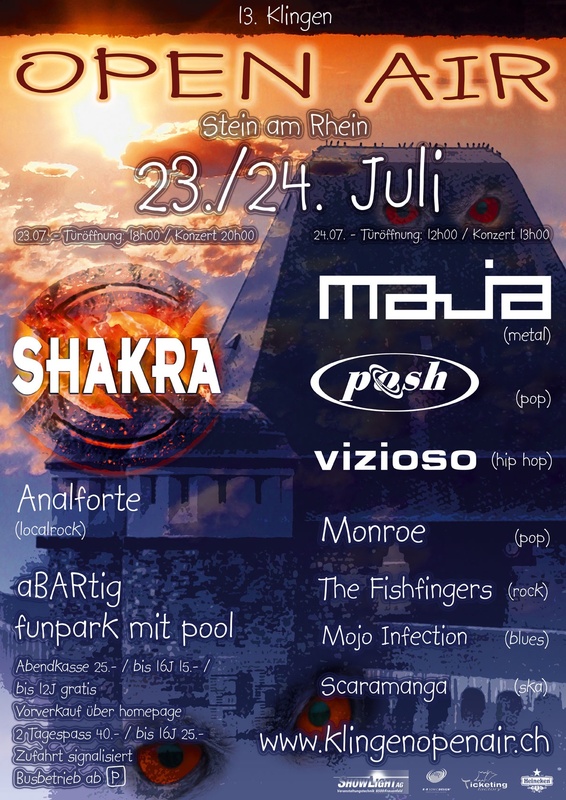 Shakra, Analforte, Maja, Posh, Vizioso, The Fishfingers, Mojo Infection, Red Shamrock. 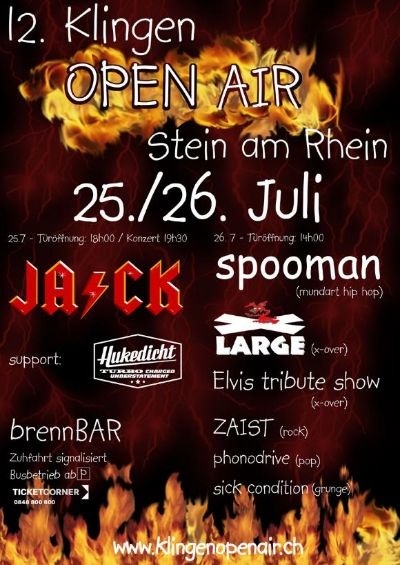 Spooman & Kubus, X-Large, Elvis, Zaisth, Phonodrive, Sick Condition, JA/CK, Huckedicht. 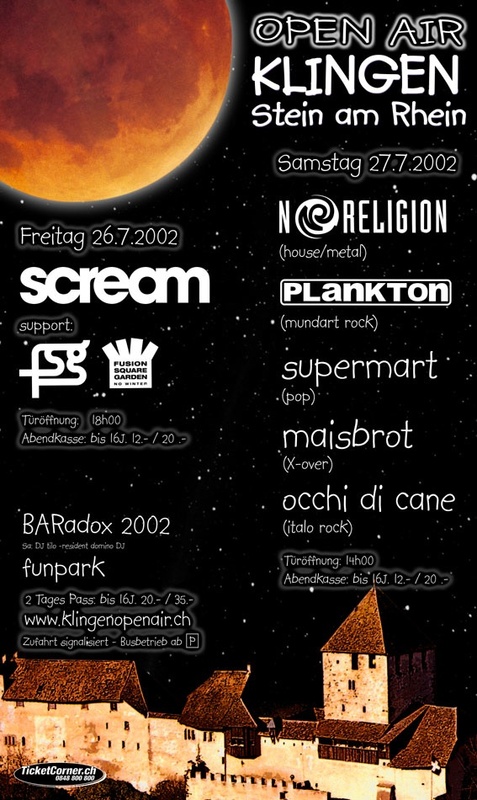 No Religion, Plankton, Scream, Fusion Square Garden, Supermart, Maisbrot, Occhi Di Chane. 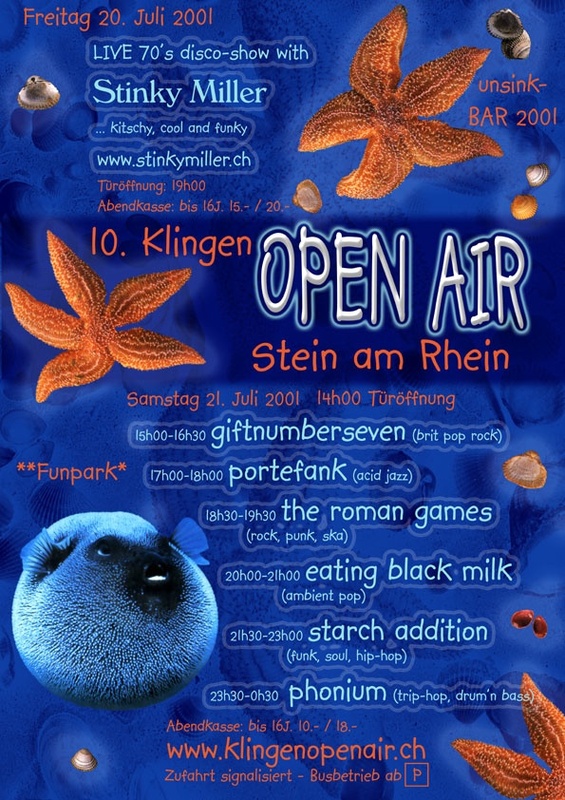 Starch Addition, Stinky Miller, Phonium, Eating Black Milk, The Roman Games, Portefank, Giftnumberseven. 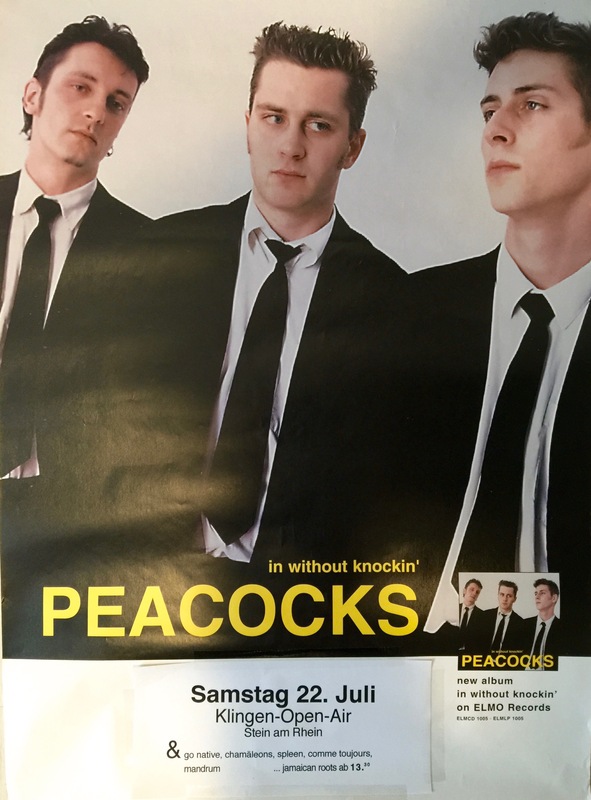 Wrecked Mob, Peacocks, Go Native, Chamäleons Spleen, Mandrum, Comme Toujours, Jamaican Roots. 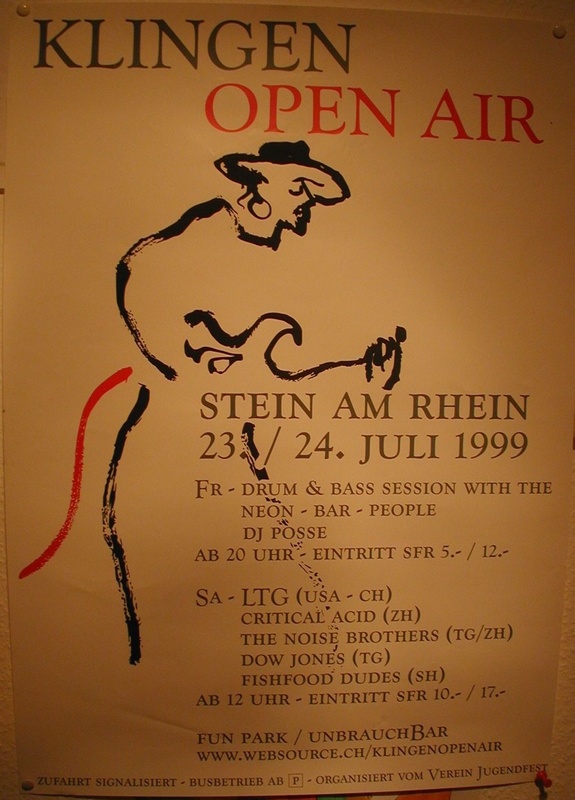 LTG, Noise Brothers, Critical Acid, Dow Jones, Fishfood Dudes, D&B Party. 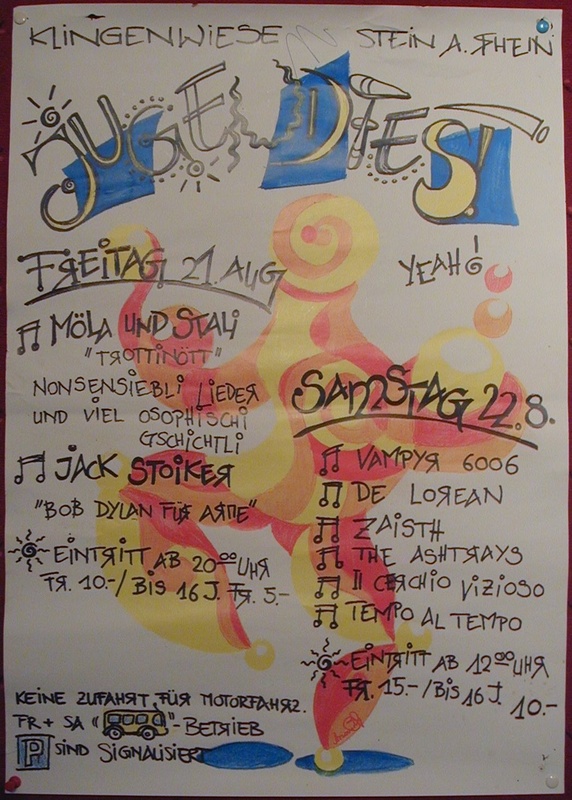 Tempo Al Tempo, Il cherchio Vizosio, Ashtrays, Zaisth, De Lorean, Vampyr 6006, Möla & Stali, Jack Stoiker. 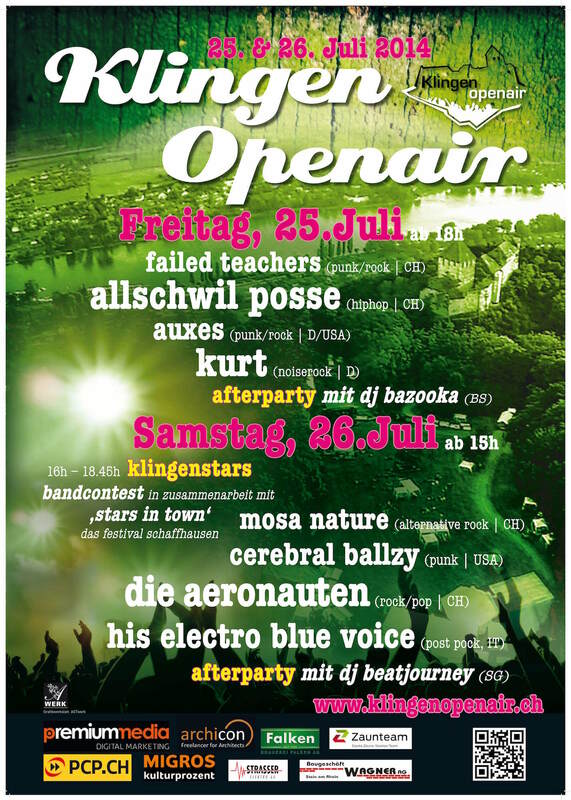 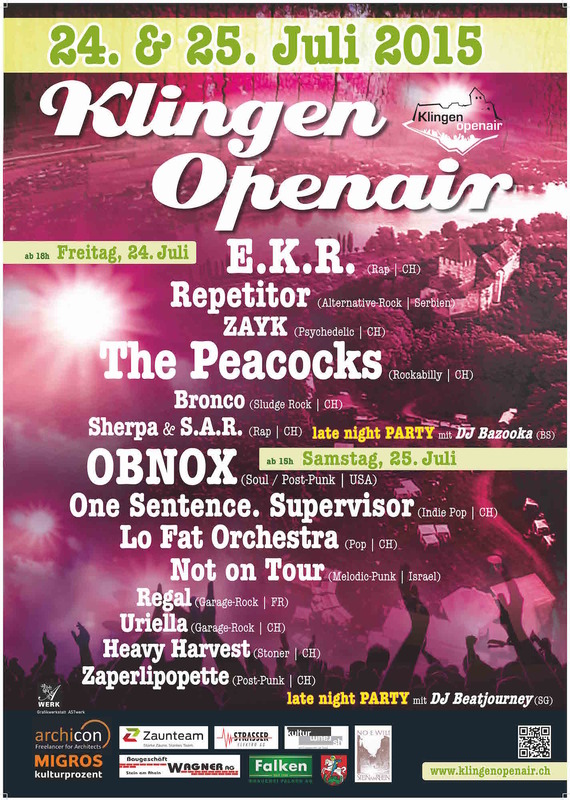 Skunk Funk, Rhythm Woods, Elephonk, Höllenhunde, Die Surf Angels, Off & Init, Goa Party. 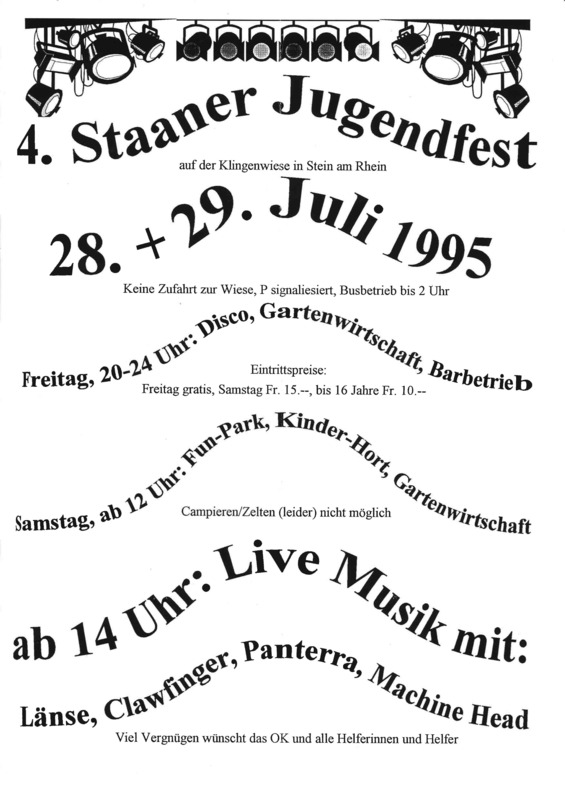 Zygomatik Zone, Burning Chrome, Thumber Thor, Nevertschecks, What the Hell, Zaisth. 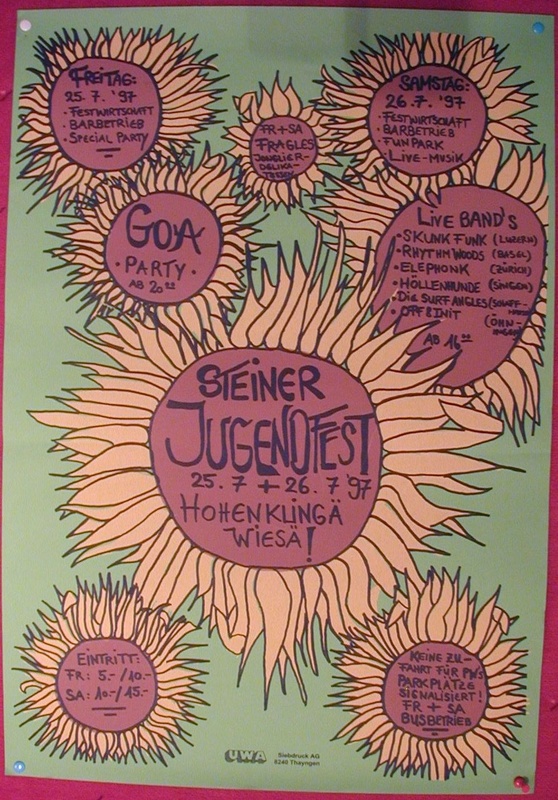 Betterworld, Ill Charged, Lense, The Assembley, The Ashtrays, Juvenile Crime. 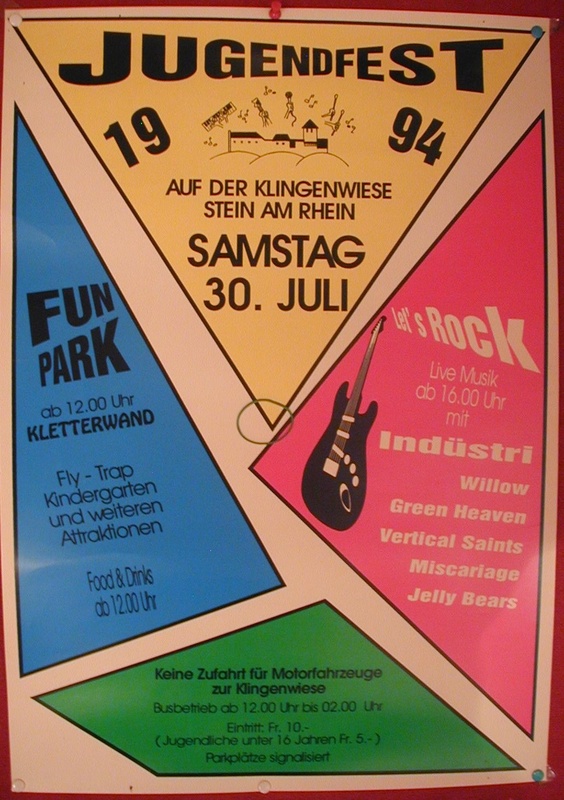 Indüstri, Willow, Green Heaven, Vertical Saints, Miscariage, Jelly Bears. 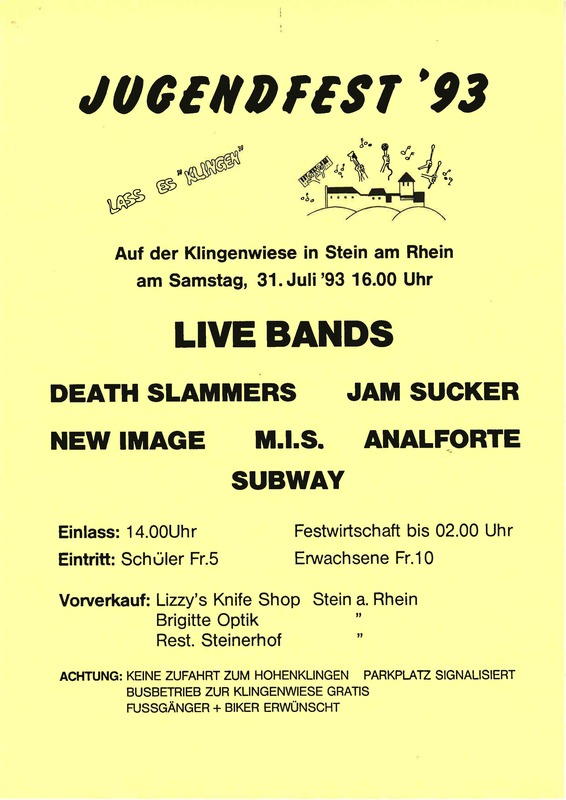 Subway, Analforte, M.I.S., New Image, Jam Sucker, Death Slammers. 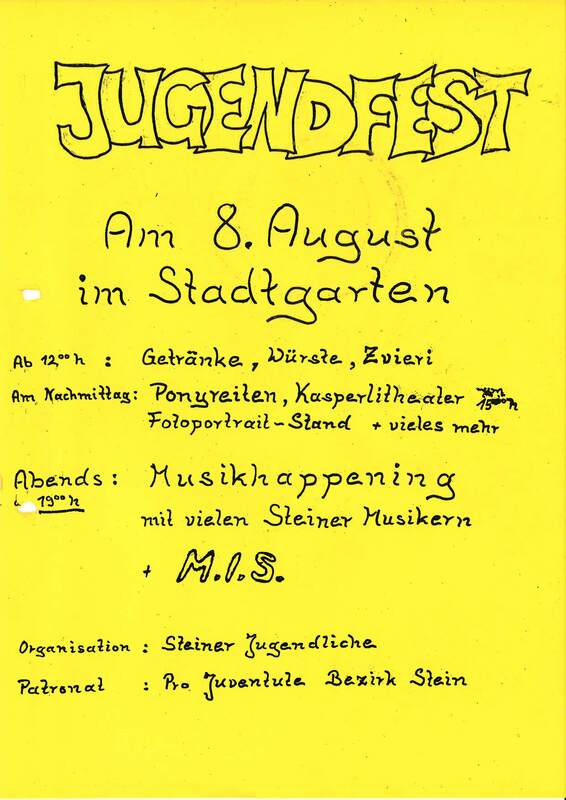 Steiner “Music History” . 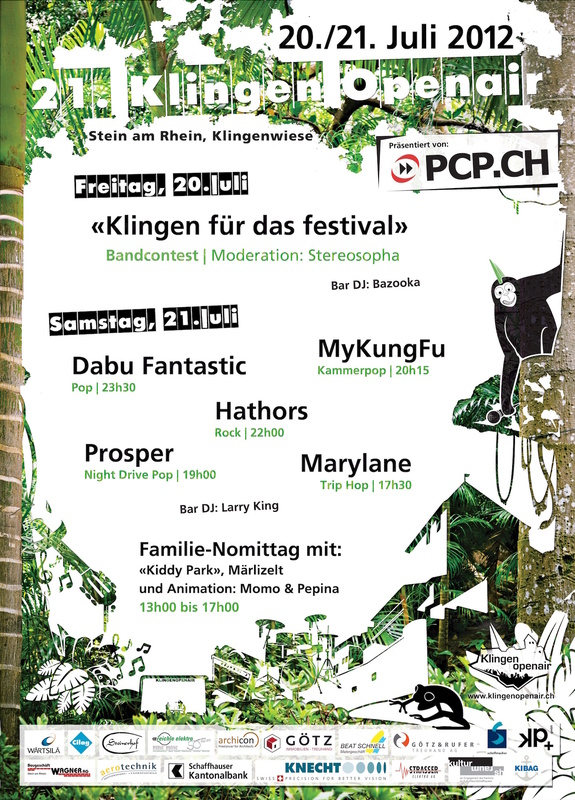 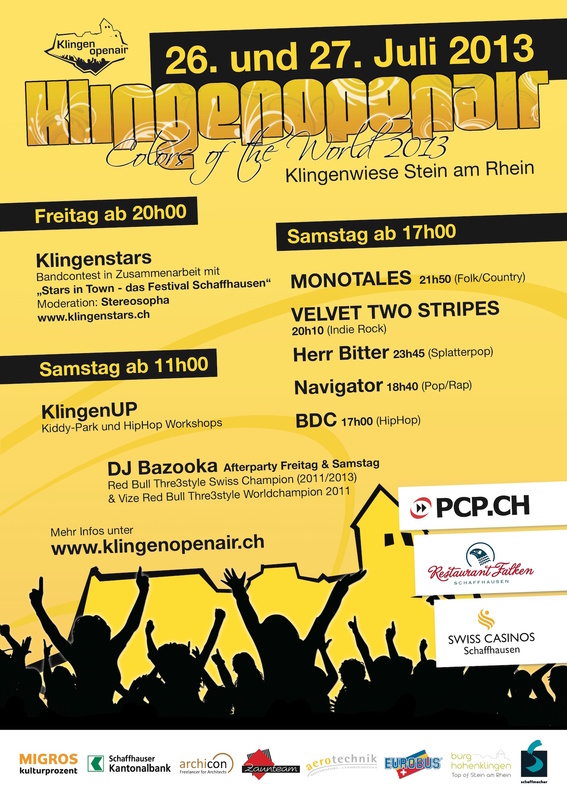 Monsterkonzert mit ca. 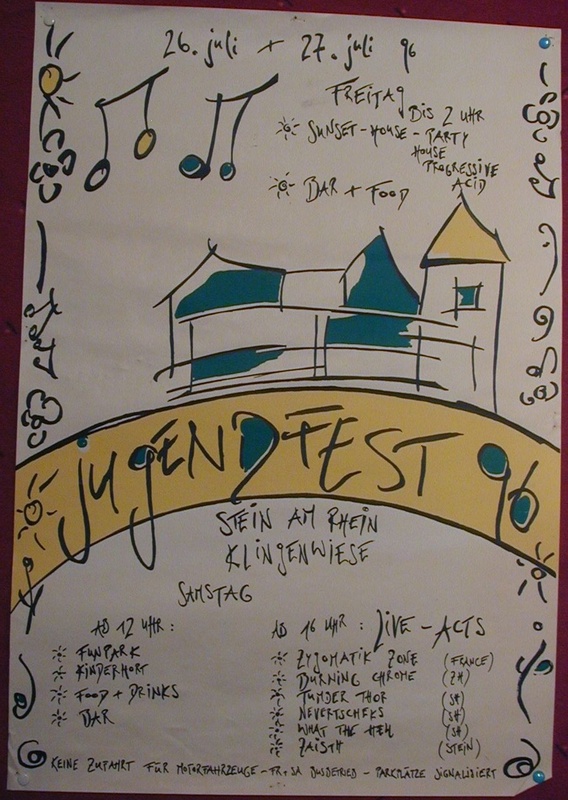 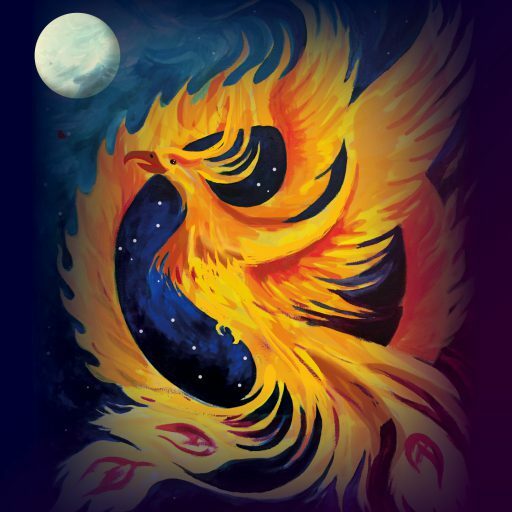 30 Musikern, M.I.S.